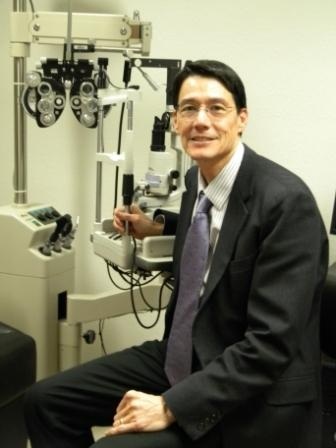 Dr. David A. Bradley completed his undergraduate education at the University of Santa Clara California and then attended the Southern California College of Optometry, located in Fullerton. Dr. Bradley graduated with honors in 1983. Upon graduation he was appointed as a U.S. Army captain and served in Stuttgart, Germany. He served four years in the U.S. Army and four more years in the Air Force reserves, ending in 1991 with operation Desert Storm. In June 1987, Dr. David Bradley settled down with his wife and daughter in Yuba City to practice optometry. Dr. Bradley has practiced optometry in the Yuba-Sutter community for 30+ years enjoying all aspects of his practice, not limited but including children's vision, comprehensive exams, emergency eyecare, diabetic eyecare, cataract and glaucoma management, contact lenses, macular degeneration care and low vision. Dr. Bradley is blessed with his wife Patty and four children. When not practicing optometry, he enjoys spending time with his family, helping at his church, school vision screenings, Lions Club, Mexico outreach, Yuba Sutter Stand down, and some free time for fishing and golf. Barbara Shinn attended The Draughn School of Business in Tulsa Oklahoma, where she graduated with a 4.0 GPA and received an award for Most Outstanding Student. She was also the student body president. Barbara has been working for Dr. Bradley for 20 years and is the Office Manager. Through the years she has learned virtually all areas of the practice and seen many changes due to the computerization of the practice. Barbara has years of experience and knowledge in frame and lens selection and is especially skilled in spectacle repair. Barbara had been married for 32 years and has two grown Children and three Grandchildren. Her Daughter in Law, Jenna also works for Dr. Bradley and is the Insurance Biller. In her spare time she enjoys her Grandchildren, painting, quilting and Zumba. She also loves to water ski, getting out on the water as often as possible. She considers Trauma Intervention Program her ministry and has been a volunteer for ten years.